MINNEAPOLIS, Minn. (September 2018) – Kraus-Anderson Construction Company has hired Karen Tucker as Lean and Process Improvement Director. KA is one of the Midwest’s oldest and largest general building contractors and construction managers. Tucker will oversee the continued development of the company’s Lean culture to improve operational effectiveness, client experience and strategic market position. Tucker is a six sigma master black belt (MBB), a rank assigned to the most experienced Six Sigma expert practitioners who have created portfolios of improvement projects for businesses and enterprises. She has more than 20 years of experience as a leader of strategic process improvement and transformation across complex organizations in the manufacturing, construction, utility and energy industries. Tucker comes to Kraus-Anderson from Wanzek Construction in Fargo. 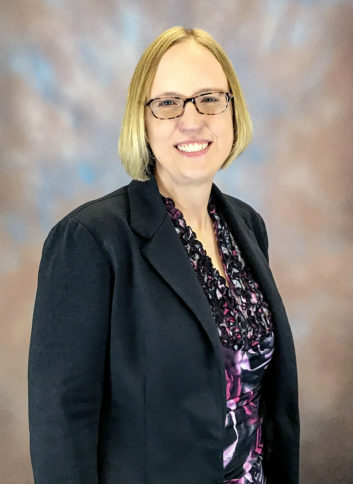 As Wanzek’s director of quality and development, she established an organization-wide document control system and standard operating procedures for all priority construction and business processes. She also facilitated lean kaizens and taught lean and quality improvement methodologies to the organization. In addition, Tucker also served in roles as the company’s renewable services technical director, and project management office director. Prior to Wanzek, she was the corporate operational excellence master black belt quality process manager for NextEra Energy, where she led quality improvement, lean and transformational change projects across the corporation. Tucker received a BS degree in Industrial Technology from University of Wisconsin-Stout, a BAS degree in Energy Management from Bismarck State College and an MBA from North Dakota State University. In addition to her MBB, she is a certified Project Management Professional (PMI), and Quality Manager, Auditor and Engineer (ASQ), and member and former chairman of the American Wind Energy Quality Committee. Established in 1897, Kraus-Anderson (www.krausanderson.com) is an integrated construction management, real estate and risk management enterprise working independently and in collaboration with a family of companies, including insurance, finance and realty operations. Kraus-Anderson, an EEO/AA employer, is headquartered in Minneapolis, Minn. and has regional offices in Madison, Wis., Bismarck, N.D., and Duluth, Bemidji and Rochester Minn.